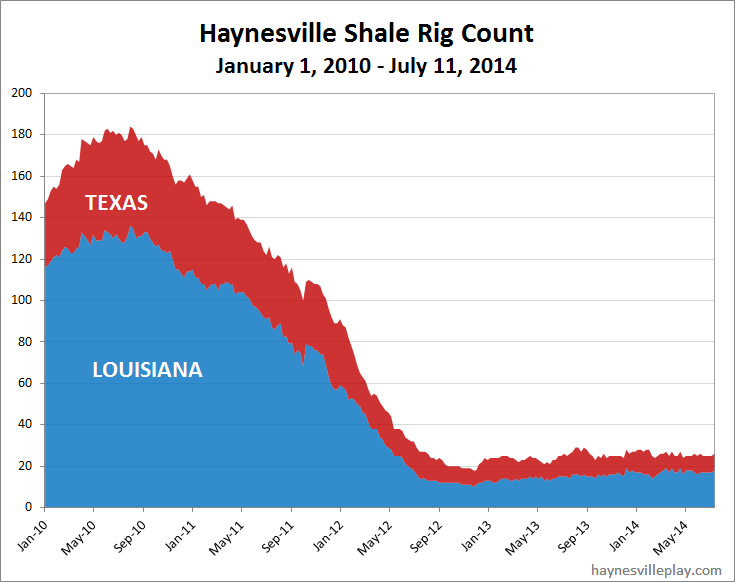 The Haynesville Shale rig count was up one last week to 26. Texas held at eight (EXCO down one, Goodrich up one) and Louisiana was up one (EXCO up one). In Texas, we saw the first new rig in Angelina County since February 2012 (actually is started drilling a several weeks ago, but I missed it).